Does your child spend hours on homework making sure it is completely free of mistakes? Does he or she procrastinate on school projects until the very last minute for fear of failure? Does he or she lack joy in the process of creating or demonstrate overly developed self-criticism? This workshop will provide practical strategies for parents of young perfectionists to help their children turn unhealthy habits into healthy goals. We will discuss homework troubles, family game nights, school-home communication, and goal setting. We will also outline various forms of perfectionism and the unique challenges and strategies with each type. Perfectionism is a topic that many parents are interested in and that has relevance to their lives. It can be the cause of great concern and frustration in the lives of many parents of gifted children. 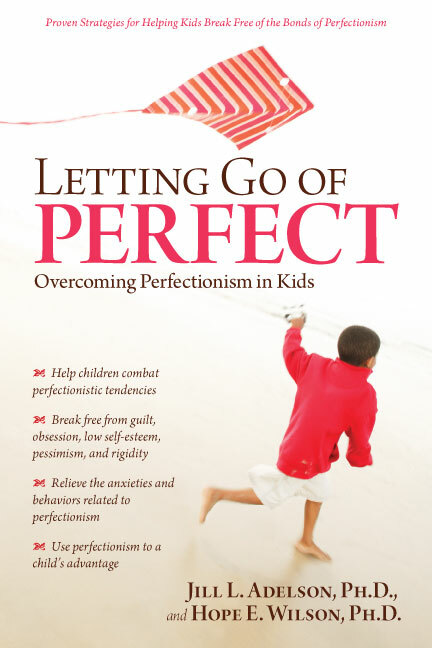 Based on the research completed for the presenters’ book, Letting Go of Perfect, and their collaborations at the University of Connecticut, this presentation will provide parents with practical strategies for helping their children struggling with unhealthy perfectionism. By presenting the latest research in an interactive and engaging way, Bess and Jill will introduce parents to background information on perfectionism. Parents will learn to recognize characteristics of different types of perfectionism, the signs of unhealthy perfectionism, and skills of healthy perfectionism. Then, Bess and Jill will discuss ways that parents can change unhealthy habits of perfectionism into healthy behaviors. Providing concrete examples and resources for further information, this presentation will be both accessible for parents and based on our experiences as a parent and as teachers. Parents will leave the session with some ideas that will help them work with their child and create an environment that encourages risk-taking, acknowledges mistakes as learning experiences, supports short-term as well as long-term goal setting, and celebrates accomplishments, the process, and personal areas of strength. They will learn how they can serve as a role model, support system, and source of guidance to their child with perfectionism.